R&B singer Teddy Pendergrass, who stormed the stage of pop music during the 70's and early 80's, died of colon cancer yesterday. He was 59. Pendergrass died Wednesday in suburban Philadelphia, where he had been hospitalized for months. A few weeks ago I was thinking back on some of his music and what the songs and lyrics meant to me. Although he was known for many of his love ballads and his electrifying and sensual presentation, one of his songs resonated in a different way with me. 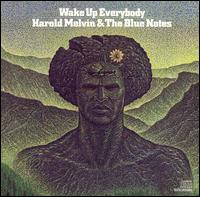 The song, Wake Up Everybody, was originally performed by Harold Melvin & the Blue Notes, with Teddy Pendergrass singing lead vocals. It was the title track from their 1975 album. The song spent two weeks at number one on the Hot Soul Singles chart in early 1976. It also enjoyed success on the pop charts, peaking at number 12 on the Billboard Hot 100 chart. At times, it's the little things! Today I was surfing through the channels looking for something mindless to watch for a few minutes and I came across the movie Step Brothers. You may remember that I'm a Will Ferrell fan so I stopped to watch for a bit. Guess what? Now, I'm kinda a Kathryn Hahn fan too! So I'll be watching her in The Goods: Live Hard, Sell Hard. Anyway, I was reminded by this clip why it's so very important to wear your seat belt and use a hands-free device for your cell phone. Notice Adam Scott, who plays Derek- the obnoxious brother of Will Ferrell, is equipped with his bluetooth accessory ear piece and the entire family is wearing seat belts. Nothing like observing rules of safety while driving. 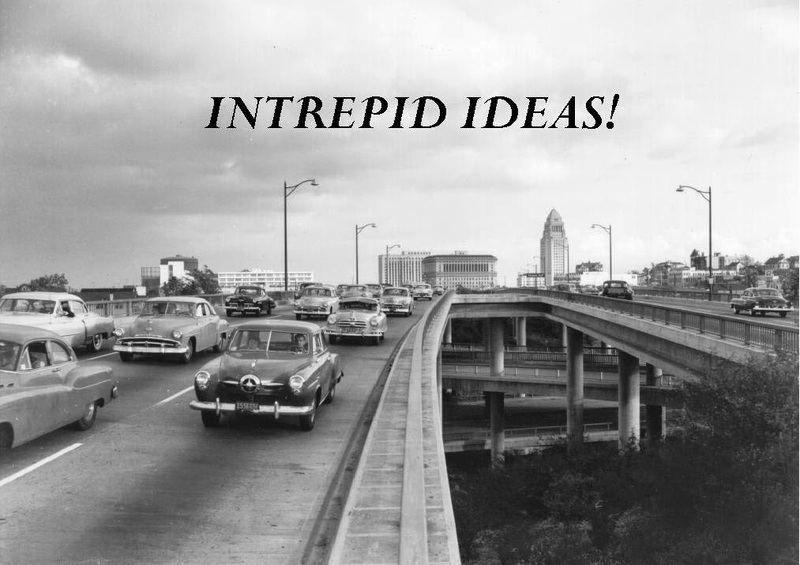 Courageous Ideas - Pigeon Impossible! Pigeon Impossible is the brain-child of writer/director Lucas Martell. It's the end result of nearly 5 years of hard work, coordination, and creative genius. In essence, it's about a rookie secret agent - Walter Beckett - who is faced with a problem seldom covered in basic training: what to do when a curious pigeon gets trapped inside your multi-million dollar, government-issued nuclear briefcase. The animation is good and the story is simple, creative, and mildly addictive. It continues to rack up views on YouTube (approaching 3 million views) and is collecting all sorts of awards around the globe. If you enjoyed the video and want to learn more about the creators and process, check out: Pigeonimpossible.com. There is also a blog at: Blog.pigeonimpossible.com and a very informative collection of podcast at: Pigeonimpossible.com/podcasts. So be careful out there, the next time pigeon poop lands on your head, it might be contaminated with radioactive waste. Remember the Three Wise Monkeys? "Hear No Evil, Speak No Evil, See No Evil!" It's widely thought that the original philosophy of the Three Wise Monkeys came from a Tendai-Buddhist legend, which originated in China in the 8th century (Nara Period) but he pictorial maxim was popularized by a 17th century carving over a door of the famous Tōshō-gū shrine in Nikkō, Japan. Mizaru, covering his eyes, who sees no evil; Kikazaru, covering his ears, who hears no evil; and Iwazaru, covering his mouth, who speaks no evil. As I was strolling around Sydney the other day, I was reminded of this maxim as I passed by 555 George Street. That's the current home of the 3 Wise Monkeys Pub. The location has a long history and attachment to the banking industry. The Bank of Australia's 'Southern Branch' was established on this site during 1879 in rented premises. In 1886 the existing building was constructed under the supervision of Architects Wardell & Vernon. 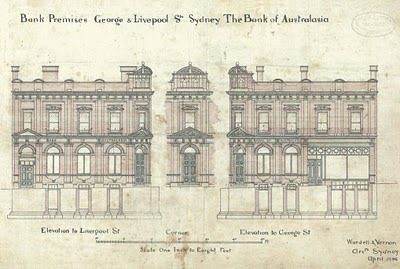 The property was owned by the Estate of James Powell and was sold to the Bank of Australasia in 1902 for 10,000 pounds. The property operated as a bank, changing affiliations several times, until 1998. 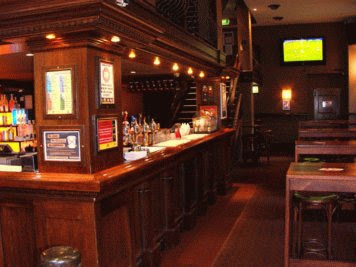 In September 2000, 3 Wise Monkeys opened their doors as a Pub, just in time for the Sydney Olympics. There are three unique bar areas and there is free live music offered 7 nights a week! If you stop by, you'll be tempted to make a monkey of yourself. So just for the record, I should remind you that as the legend goes, there was a fourth monkey - Shizaru. This last monkey is sometimes shown covering his abdomen or genital area. He symbolizes the principle of "Do No Evil." Happy New Year! Auld Lang Syne!